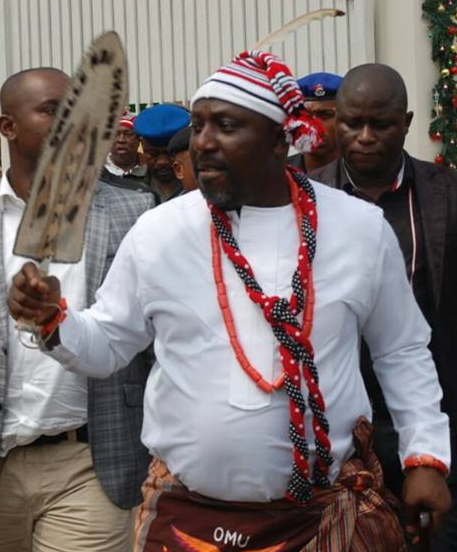 Governor Rochas Okorocha of Imo state has accused the immediate past administration of the PDP of causing the present parlous state of the nation’s economy. Okorocha, who made the allegation yesterday, during the World Teachers’ Day celebration at the Heroes Square in Owerri, the Imo state capital, said the 16 years of PDP rule was the worst in the history of the country because it was looted dry. The governor was, however, quick to add that despite the bad economy, his administration had continued to pay special attention to the education sector in the state, stressing that education was the power of the state. “Education is our power and it is the pivot of the Rescue Mission and not even the bad economy can deter us from investing in the education of our children because that is the only real legacy we can give to them. Today, because of the free education policy of this administration, the school enrolment has tripled in the last four years,” he said. Okorocha stated that his administration would continue to improve the welfare of the teachers in the state and the learning environment. @Sunday don’t mind him,wat about d state treasury he is looting dry?now he is talking about pdp,very soon Pmb will go after him mark my word.